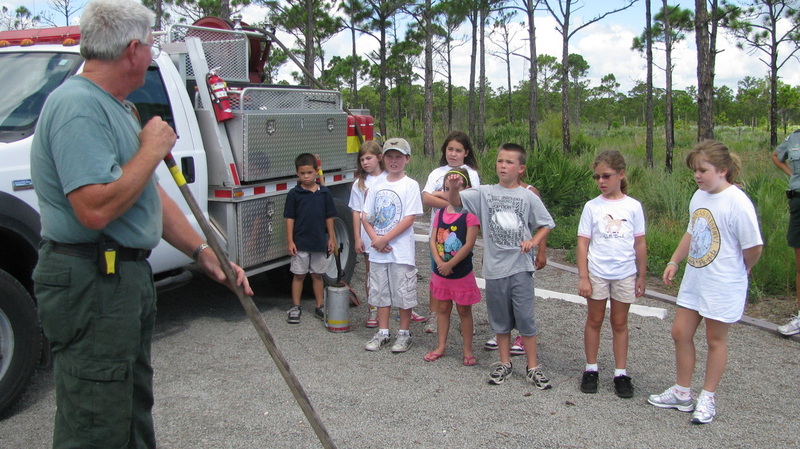 The Savannas Preserve State Park is a busy place, and we have lots of tasks to do—virtually anything that suits your skills and interests! Below you will find some examples of the different volunteer opportunities that we have available. However, please keep in mind that as a volunteer, you are by no means limited to only one committee, and oftentimes the lines between the different committees are blurred to accommodate the time and services that you can provide at the Savannas Preserve State Park. Please feel free to stop by the Environmental Education Center to inquire about volunteering, meet with volunteers, or schedule a meeting with the Park Services Specialist. 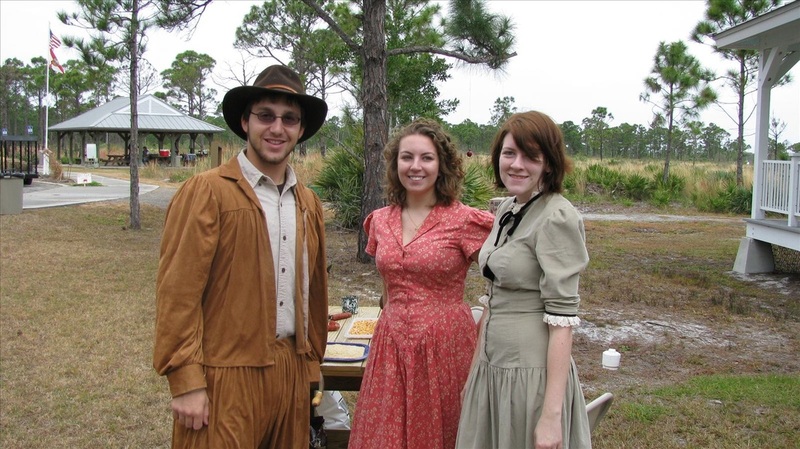 The Volunteer Application and the Contract are available through the Florida State Parks VSys online system. The application and contract are to be filled out and turned into our Environmental Education Center. If you would like, a hard copy can be picked up at the Environmental Education Center. You will receive an email from Brenda Gerdes, the volunteer coordinator, to welcome you to our park once your application has been processed. Afterwards, you will be required to attend a mandatory volunteer orientation. Thank you for your interest and we look forward to having you on our team! Teenagers are encouraged to volunteer with us through a special group of youth volunteers that teaches many lifelong leadership skills. To learn more, please contact the Education Center at (772) 398-2779. Please note that not every team is currently listed and we are undergoing a renaming of each team to help benefit both you as a volunteer and us as an organization. Feel free to contact us regarding how you would like to volunteer and contribute to the park; we will be more than happy to have you and place you in the appropriate team(s). Thank you for your interest! Friends of Savannas Native Plant Sales are ongoing Thursday-Monday, 9 a.m.-5 p.m. These plants are propagated by volunteers at the Savannas and are sold at the Education Center and at local plant sales. They are inexpensive and easy to care for as they are sun and drought tolerant. They are perfectly adapted for Florida's climate and sandy, nutrient-poor soil. We have many varieties including: Blanket Flower (Gaillardia), Beach sunflower, Necklace pod, salvia, Coreopsis (the Florida state wildflower), Florida privet, prickly pear cactus, Tickseed, and several more. For more information or to get involved with the shade house volunteers, please call the Education Center. Members of the Kayak Committee lead tours of the basin marsh, interpret the wildlife and wildflowers in the marsh, recount the history of the park, and ensure that kayakers have an enjoyable paddle while learning about the importance of the savannas. If you like to paddle, we can always use kayak assistants to help with the tours. We provide American Canoe Association (ACA) sponsored training (mandatory for assistants) and the opportunity to share our love of paddling the basin marsh. For those who would prefer to help on land, we always need a shed man (or woman) to stay behind in case a paddler needs to return sooner than the group. If you're active, enjoy being outside, and like variety, this committee is for you! It meets every Thursday morning and there is a different project each week. Some activities include trail maintenance, building and fence repair, exotic plant removal, native species relocation, and any project that needs to be accomplished to maintain the integrity of the park. Are you knowledgeable about the plants and animals of the Savannas or do you want to learn? We're always looking for people to take visitors out on hikes. Training is available if necessary. 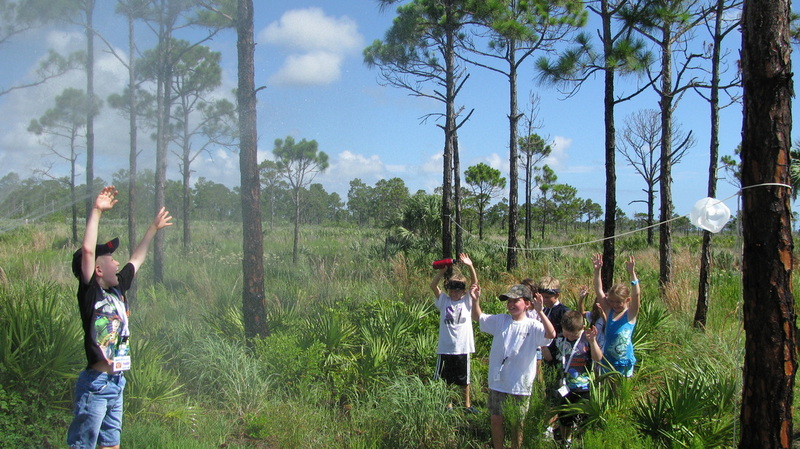 Many of our guides are trained in Florida Master Naturalist courses as well as basic interpretive training. This could be something for you, if interested! We need help with planning, promoting, and executing some of our bigger special events. These events include Pioneer Day in February and Family Fall Festival in late October. Every November we salute veterans with our free Warriors on the Water program, and host the annual Friends in Pink 5K race. Are you a "people person"? Work at the gift shop, help with educational programs, answer the telephone, and greet visitors. If these things sound interesting to you, we would be happy to have you volunteer at the Education Center. 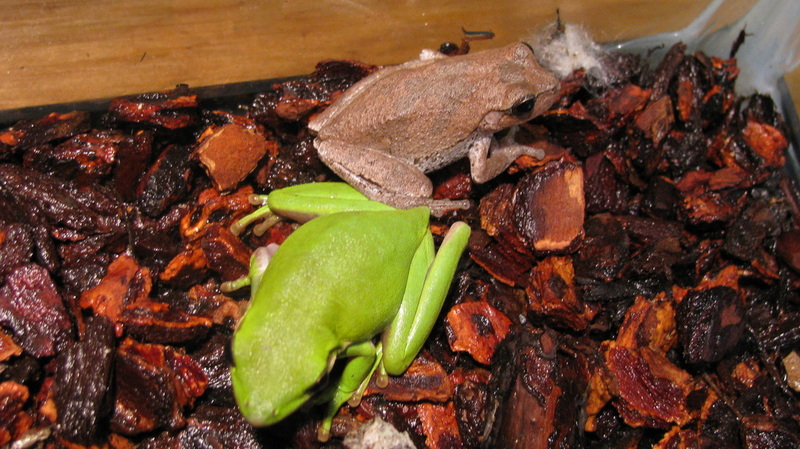 We currently have three exciting projects that involve volunteers working with frogs, Scrub Jays, and Gopher Tortoises. Five evenings a month between May and September, citizen scientists gather at Savannas to meet local toads and frogs and collect data for the Frog Watch program designed by t​he Association of Zoos and Aquariums to help increase knowledge about amphibian populations. Join us for a ribbit-ribbiting good time. The citizen scientists annually receive training on spotting and counting Scrub Jays during a two-week period in June-July for Jay Watch. 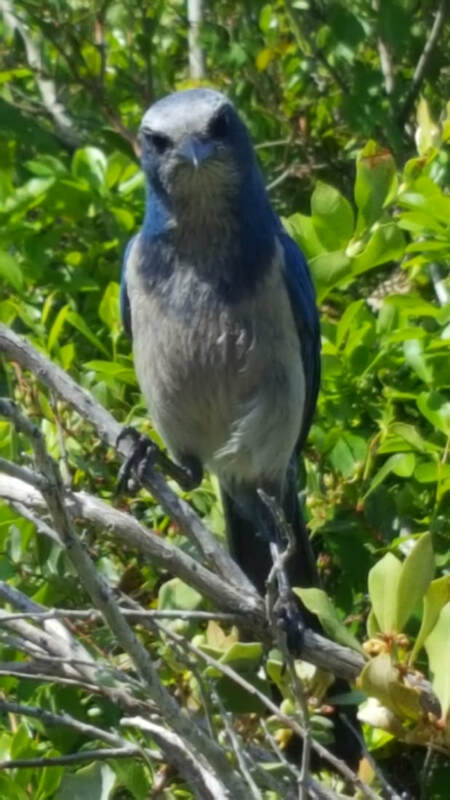 These friendly and curious birds have specific requirements for their habitat and Jay Watch monitors colonies across the state of the only endemic population of this bird in Florida. The newest project locates and, with a park ranger, weighs, measures, checks for health, numbers, and records the location and data gathered in a spreadsheet. Adjunct to the survey is the Gopher Tortoise Fan Club--an activity geared to encouraging kids to participate in locating gopher tortoises while on hikes. Members receive a lanyard with a membership card that is punched for every gopher tortoise located and reported, a t-shirt, and collectible gopher tortoise pins for every five, ten, fifteen, and twenty gopher tortoises located. The goal is to help identify where our gopher tortoises live and travel as well as to obtain a baseline body count to track their health and population growth. We need someone to spread the word on this great program that helps fund our animal exhibits. The coordinator would also keep track of the participants and make thank you cards and plaques for those who choose to adopt. We need people to help with our fantastic four weeks of summer camp in June, July, and August. For more information on our specific program dates and ages, please see our Calendar of Events page.